This is our most popular program. $1 trials convert really well and we have an unsurpassed trial -> full conversion ratio (above 65%). While other sites have a hard time converting 30% of their trials into full paying members, we do it comfortably at twice that level. Coupled with our amazing retention, you'll be building long term solid earnings. If you don't want to offer trials, we have a program for that. Want you money upfront rather than wait for rebills? We have a program for that. The default payout is $30 PPS and if you can send 1 sale per day on average (15 sales in a period), you'll get $35 per signup for the entire period. If you traffic prefers cheap trials, we have an invite only $1 trials PPS program. 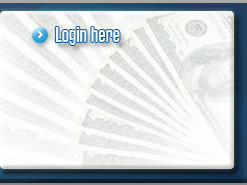 If you've been a loyal affiliate or if you can send good and consistent traffic, contact us to get it activated. Mobile is a quickly growing market and StandAhead's mobile tours are the best in the business! We offer 60% partnership or $25-30 Per signup programs. We provide a redirection code to seamlessly direct your mobile traffic to our highly converting mobile sites. Refer affiliates to us through your linking code and you'll earn 5% of their sales, for life! We're powered by NATS 4.1, the most advanced affiliate program software on the market. Take advantage of the newest tools that help you understand your traffic and convert better! We offer the following payment methods: Regular Check, Paxum & Wire transfers. The minimum payout is $100, except for wires ($500). Check, Paxum and Wire transfer payments are FREE of charge! Our periods run from the 1-15 and the 16-end of the month. Payouts are sent 21 days after the end of a pay period. 2019 © Stand Ahead, Inc. All rights reserved.